(left) Sketch of Kokoschka’s Portrait of Lotte Franzos by Twitter follower @f0rTyLeGz (right) Oskar Kokoschka, Portrait of Lotte Franzos, 1909. Oil on canvas, 45 1/4 x 31 1/4 in. Acquired 1941. The Phillips Collection, Washington DC © 2015 Foundation Oskar Kokoschka / Artists Rights Society (ARS), New York / ProLitteris, Zürich. 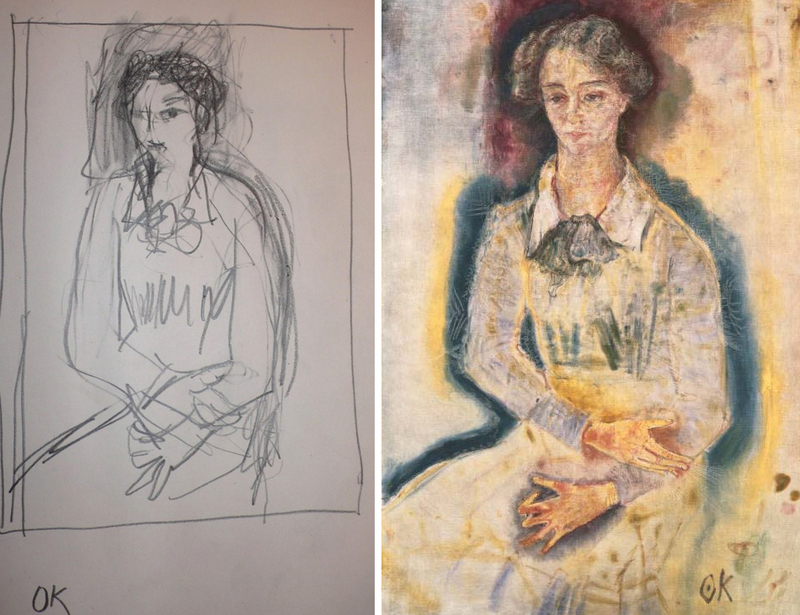 A former Phillips employee shared this sketch of Oskar Kokoschka’s Portrait of Lotte Franzos (1909) from his time at the museum during the 1960’s. Do you sketch in the galleries? We’d love to see your work!